The largest lender State Bank of India will introduce new facility that would enable withdrawal of cash through ATMs using the bank's mobile wallet. However, the bank will charge Rs 25 on every cash withdrawal from the mobile wallet via ATMs. 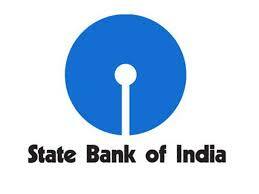 Meanwhile, the SBI has denied media reports that it has increased service charges to Rs 25 on regular ATM transactions. "The service charge on cash withdrawal from ATMs has not been changed for normal savings accounts," SBI MD (national banking) Rajnish Kumar told PTI. "If a customer has money in SBI Buddy, our mobile wallet, he can now withdraw that money through ATMs. Also, now the customer can deposit cash or withdraw cash through business correspondent (BC) from or into our mobile wallet. These facilities were not available earlier," Kumar added. For cash deposit of up to Rs 1,000 into its mobile wallet through business correspondents, the bank will levy a service charge of 0.25 per cent (minimum Rs 2 and maximum Rs 8) plus service tax. For cash withdrawal of up to Rs 2,000 from SBI Buddy through business correspondents, the service charges will be 2.50 per cent of the transaction value (minimum of Rs 6) in addition to service tax. The service charges will be effective from June 1, 2017, Kumar said. The bank levies a service charge of 3 per cent plus service tax using immediate payment service (IMPS) for fund transfer through SBI Buddy to the bank account. On the media reports about the bank hiking ATM charges to Rs 25, Kumar clarified that cash withdrawals from ATMs has not been changed for normal savings accounts and that there was some errors in the circular earlier. A corrected circular will be issued soon, he added.